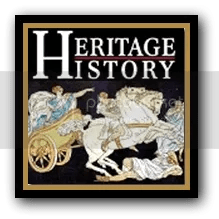 Heritage History is a classical curriculum designed to provide easy access to classic history stories for children. The curriculum focuses on Ancient Greece, Ancient Rome, the British Middle Ages and the British Empire of the 18th and 19th century. They also have curriculum available for Early America and the 20th century, and Spanish and Latin America as well. 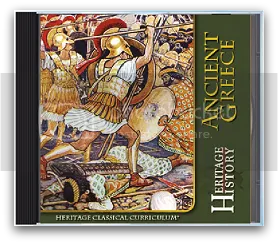 For this review, I got to sample the Ancient Greece CD. The CD also includes a user’s guide, which gives you an intro and suggestions about how to use the curriculum, as well as several study aids, including maps, timelines and photographs. These can easily be printed or viewed on the computer as well. The recommended reading section of the user’s guide tells you the core books for each level (beg., int., adv.) as well as the supplemental books it is suggested for students to read. As the parent, you can choose which of these you want to use. I personally read a few of the core books aloud to my boys, then allowed them to choose a book to read on their own. They each chose a mythology book, which they enjoyed. We used some of the maps and while reading the books and we liked the timeline as well. The guide doesn’t have study questions, but many of the books lend themselves to discussion. I think Heritage History could easily be used alongside a more structured history curriculum (i.e. Tapestry of Grace, Truthquest etc.) to give you access to classical books, while also providing background info and more structured assignments (if you want). However, if you are creative and prefer making up your own discussions/assignments/etc. 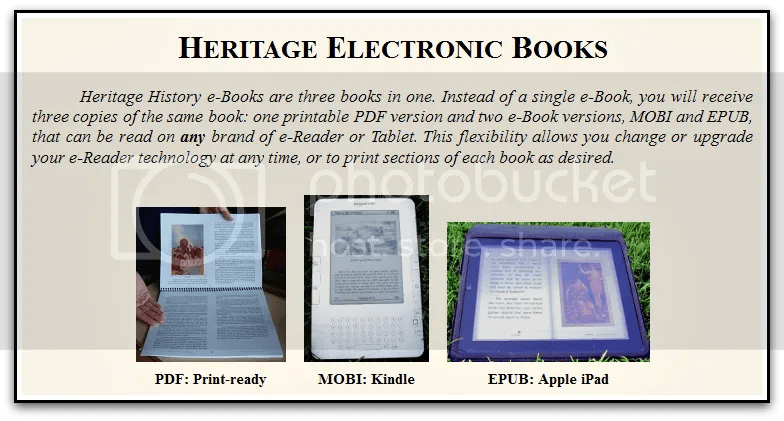 for your children, you could simply use Heritage History on it’s own, and then create whatever you wanted to go along with it! *Disclaimer: I was given a free copy of this curriculum for the purpose of writing this review. All opinions expressed are my own. AHH! Can you feel that? It’s summer!! Although it has felt like summer for quite some time here in Florida, I can say that our school year officially ends in two weeks!! For me, it’s always hard to tell exactly when we will end, because that depends on how many “off” days we have during the year, but we will officially end about a week after local schools. I have to admit, we didn’t quite finish ALL of our curruiculum, which is hard for me. As a former teacher, I KNOW that most students don’t finish their entire textbook by the end of the year, but for some reason, as a homeschooler, I almost feel like I have to. It’s almost like I am pressuring myself to do MORE than the public schools do, and I wonder why? 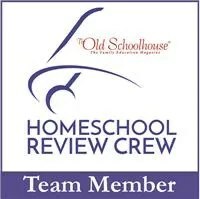 I got my boys SAT 10 scores back for the year, and they did EXCELLENT! Seriously, there has been so much growth, and I am so thankful for that!! I think I just need to remind myself that finishing the books isn’t the most important thing…. I am really looking forward to summer this year. For some reason, the second half of the school year was really hard for us this time. Maybe it’s because my hubby got injured at work and we were dealing with that, along with other medical problems. Or maybe it was the move that occurred mid-year, at any rate, we are all ready for a break. I plan to give my kids a couple of weeks off, and then just have them do some daily math practice along with 20 minutes of reading and journaling. I think it’s important for my kids to not take a complete break for 2 months, because they will forget things, but at the same time, I don’t like to make the work too hard. In between, I am looking forward to our family vacation to the mountains of NC and a few days alone with my hubby when the kids to grandma’s for a week! 🙂 Of course, now I also have to think about next year….I haven’t gotten ANY curriculum yet, and I have to admit, that kind of gives me panic attacks at night. I think maybe I’m dragging my feet because my oldest starts high school next year, and that makes me nervous!! After giving myself a week off, I have determined that I will spend some time on the web researching and ordering stuff…but for now, I just want to wrap up these next two weeks, and enjoy some time off!! Happy Summer!! Judah Bible Curriculum is a Bible program based on the Principle Approach. 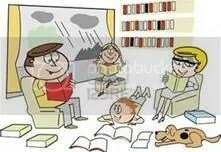 The idea is for you to study the Bible daily with your children, using the Bible as your textbook. The Principle Approach desires to “build character in teacher and student, capable of sustaining liberty”. 5. The Early Church (Acts-Revelation). Basically, each theme is broken down weekly, and you work with that. For example, the first week focused on Genesis 1-2 and creation. My children and I began with prayer and reading and discussing the Bible passage. Then, each day, we filled out a Key sheet (which is a printable included in the curriculum) related to what we discussed. The Key sheets were nice, as I felt they were able to help us focus our thoughts when discussing and analyzing the Bible passage. The “key events” sheet had four columns, with a heading (i.e. Causes/Key individuals/principles of civil gov. ), with some leading questions to get us started. Now, I will say that some of the discussion, specifically the government part, and the part about historical significance, was a little much for my youngest son (5th grade) to wrap his head around. For the most part, I just had him fill out the first two columns, and then my older son and I (8th grade) worked together on the other two. I do think these were good concepts for my almost-highschooler to explore…as much as we may want to seperate “church and state” in our society, the two do intersect and influence each other. I like that this curriculum gets my older son thinking critically about that! Over the next four days of the week, my boys and I worked on the key individuals sheet, the key institutions, and the key documents. We always worked on these together. This is a program that requires a LOT of involvement on the part of the parent. It’s definitely not the kind of Bible Study you could just hand your kids and expect them to do. I didn’t feel like it required a particularly large amount of planning on my part, because once we got the hang of it, we just kind of did the same thing with each weekly theme. However, it does feel like a lot to wrap your head around at first. I had heard of the Principle Approach prior to using this curriculum, but I was not really familiar with it. The program might be easier to implement if you are already using a similar approach in your schooling to begin with. However, the people at Judah Bible do have resources available to help you. First, there are downloads of lectures you can listen to, in order to help you understand how to use the curriculum. I am not so much an auditory learner, so I found I had to listen to these a few times while also going through the materials to really get a feel for the program. I did really appreciate the examples they had available of the key sheets that had already been filled out. Looking at them, I felt I had a better idea of how to use them myself. There are also clear directions for how to set up the notebook that you would use with the program. *Disclaimer: I was given free access to this curriculum for the purpose of writing this review. All opinions expressed are my own. Our blog cruise topic for this week is “What’s the one thing you hope your children remember from their childhood?” Hmmmm….well, turns out that’s a much more complicated topic than I originally thought. To begin with, I started reflecting on my own childhood. What were the things that really stood out to me? I grew up on a 5-acre farm in the middle of nowhere. There were two other kids in my neighborhood to play with, one boy, and one girl. Nevertheless, we had fun. I remember riding 4-wheelers in the back pasture, while trying to avoid the cows!! I remember nights sitting outside looking at the stars. Where we lived was far from the city, so without night pollution, it was really dark, and you could see SO many stars with the naked eye. I remember sleepovers at other friends houses, and chasing the ice cream truck for blocks!! Out of all these memories though, what really stands out to me are the things I would DO with my nana and pop-pop (they raised me). Since they were retired, we took a road trip every single summer. As a girl, I drove across country to California, all the way up the East Coast to see Niagara Falls, and into the midwest. I remember the first time I saw the big oil rigs in Texas, and the time we took a detour off the highway to stop at a little local Indian Museum I wanted to see. I remember being in awe of the size of the Grand Canyon, and the shock I felt when I first set foot in the very cold Pacific Ocean! I know my grandparents scrimped and saved to give me “things”. I had Barbies, and toys and all that stuff. But my nana also read to me every night, and that is where I get my love of books. I may have outgrown Barbie, but give me a good book and a rainy night and I am a happy camper. 🙂 You see, to me, the things I had are not what I remember most, my most treasured memories are of the times we spent together doing things. The EXPERIENCES I had are what stands out to me now. And I think that is the kind of childhood I want my kids to have too. When they look back on their lives here in our home, I want my boys to remember love and laughter and time spent together. I want them to remember that even though they may not have had a lot of the latest “stuff”, they did have a mom and dad who made it a point to go camping with them, and take them to the beach and just spend time with them. To us, this is one BIG reason why we homeschool. As an adult, you realize just how quickly childhood passes by. My husband and I want to be able to enjoy all of it WITH our kids. We want them to have experiences, not things. And we want them to know that being with them was the most important thing to us. So I guess that’s the answer. When my kids get older I want them to remember that raising them was our top priority. And that spending time with them was what we chose to do, even if it meant a LOT of sacrifice on our part. You know why? Because children are an incredible blessing from the Lord, and they deserve that.